A hastily deleted contract notice has revealed that the European Union planned to assemble a new aircraft carrier on the Clyde, only for the plans to be blocked by the UK government. A copy of this contract notice can be found below. If you haven’t noticed the date of publication or the name of the author I’ll save you some trouble, this is an April Fools joke, the reason for this specific topic being chosen is outlined at the end of the article. Also If you’re reading this because someone shared it after the 1st of April, that person doesn’t read the articles they share and you should probably be wary of their posts. The European Defence Agency list of contracts. The contract is understood to have been withdrawn temporarily in part due to it referring to Scotland as an independent member state, something the UK government denies is the case and primarily due to an objection lodged by the UK government in relation to the currently proposed Withdrawal Agreement. The now deleted contract notice itself. The images of the contract notice highlight that this is a new industrial strategy for design and build of a joint European Union aircraft carrier across the EU and appears to make the assumption that Scotland would be considered a European Member state for this purpose, to leverage the shipbuilding facilities in the state. German Chancellor Angela Merkel recently endorsed the idea of a joint European aircraft carrier. Annegret Kramp-Karrenbauer, the politician that succeeded Merkel last year as leader of the governing Christian Democratic Union in Germany, made the proposal in a weekend response to the French President’s proposals for European reform. In addition, the French Ministry of Defence recently launched an 18-month study for €40 million for the eventual future replacement of the French aircraft carrier Charles de Gaulle beyond 2030. It is currently unclear if this is a proposal for a jointly operated vessel or a common class, the latter however appears the least likely due to the cost but it is understood that the intention was for one block to be constructed in every EU member state and shipped to the Clyde for assembly. Luxembourg is expected to produce and ship the bow section. Modern shipbuilding makes considerable use of prefabricated sections. Entire multi-deck segments of a hull may be built away from the assembly yard, transported to the building dock or slipway, then lifted into place and assembled into one ship. It is hoped that this contract would have attracted the investment required to construct a new dry dock in Govan. Instead of one 70,000 tonne European vessel, the Clyde will now be able to build three 50 tonne British ferry vessels, three times as many ships as promised by the European Union. “BAE Systems is focused on the manufacture and delivery of the two QE Class carriers, the five River Class Offshore Patrol Vessels (OPV) and the first three City class Type 26 warships, as well as continuing to develop and upgrade combat management systems on all Royal Navy ships. Some commentators have questioned the wisdom of a European aircraft carrier, you can read more about this here. If you have read this far, you will undoubtedly have noticed that the entire story is a fabrication put together by contributors from various parts of the UK defence community and is simply, an April Fools joke. Did you also notice that a few well placed Tweets, a few intentionally created rumours and off hand comments were enough to create outrage over this news? People got wound up without any evidence, without any confirmation and without any research of their own. All it took was a handful of people and a fake contract notice. The purpose of this article, aside from our usual April Fools day joke, is to highlight that reading beyond the headline should be the ‘done thing’ for every article and not only those published today. The real message behind this article is, be careful when you read news online or offline as sometimes it’s entirely false. Lets see how many little Englanders jump on this one. Martin Are you a Scot? You must be, as you show all the sense of humour of a dead kipper. What part of little England are you from? look at the date, you fanny. I like the first 1st spreadsheet, all the contracts go to Brussels! This is a good and well done April fools joke….ahem…real article!!! I wonder how much work Austria will get from this carrier build? 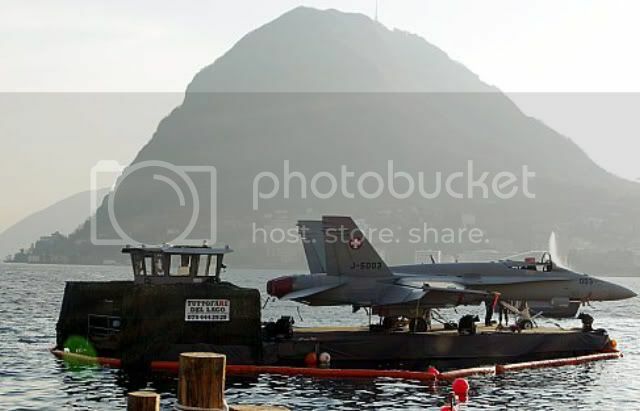 Perhaps they can have the trainings bases there, maybe she go into dry dry dock in Austria? Also I did notice some of the subtle hints on twitter, you almost got me there! But I can see through your lies! Surely Luxembourg would be a better home for the new carriers? Switzerland is not currently in the EU… Otherwise I would agree. I’m Surprised It’s not Left Hand Drive. Arrgh you got me! Hopefully HMS Diana and her sea typhoons are still going ahead. Will Italy insist that the engines go faster in reverse than forwards and also stop working in the wet…? Good effort! Even coloured flags! The UK will support the Security of the EU and wider western world by selling the ship to Brazil for cut down price. Ensuring UK and EU influence and power is secured in South America for the future and beyond. 🇬🇧 The U.K. will be responsible for periodically boarding it via amphibious assault and restoring order each time one of the member nations mutinees and attempts to take over sole command of the ship. We’ll subsequently not be thanked for this. I’m sure we will try to flog it first. Think everyone forgetting what day today is. Leaving aside the funnies for a moment, the picture is of the bow section of an Astute. Can anyone throw any light as to why it is on some sort of massive low loader? I assume that it was taken in Barrow , but I thought all the construction of the boats took place in the Devonshire hall in the shipyard. Any light on the problem gratefully received. Mind you, if they are going to make bits that big in Luxembourg they sure as hell won’t fit through the Channel Tunnel! It fell off the Table and Rolled out the door when building it ? The boats are put together in the Devonshire hall but barrow is a massive facility, bits are made all over. If you google barrow you can see all the other parts of the facility. Barrow is truly a world class facility that only one of two places on the planet can match. It’s just a pity that HMG does not see fit to follow the lead of other navies like US, China and Russia and move up to construction of one boat per year instead of one every two. Actually I’ve just read an official report which clearly states that this Will Happen, the above model shows the Air Interdiction and Reconnaissance foolproof Integration X model (or AIRFIX for Short) This comes as a complete Package Including transfers and 4 Pot’s of Humbrol Paint, 2 x Brushes and low odour glue developed specifically for the OPV B2’s by BAE Systems. How do you like them Onions ? Nice one “Avril”, haven’t read the others yet. “Sound”s like a band. Some of us think they should be !!! Google maps Barrow, look for Barrow Island look at the walney channel and you can see the fabrication sheds. I understand work is ongoing to consolidate on DDH. I have to say its a nice looking model, was that the French PA2? If the EU ever form a navy they won’t have to build a carrier.